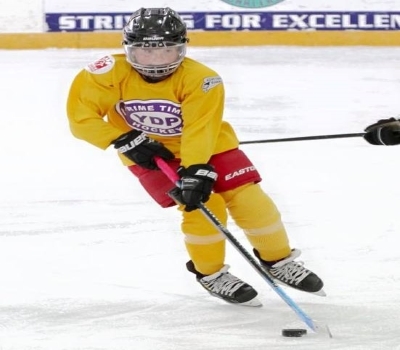 This 28-week comprehensive program seeks to provide a progressive training curriculum for 32 skaters of 2007-2011 birth year who are looking to supplement their upcoming hockey season with practices and scrimmages that will better prepare and facilitate their transition as future ‘travel’ hockey players. - 72 total hours of development! - TWO sets of uniforms (jersey + socks) will be provided to each student, and these will be included as part of the registration fee. Players will be able to provide input for their choice of jersey #’s. Names will be on jerseys. - Other then the uniforms listed above, participants must supply all of the rest of their protective equipment. 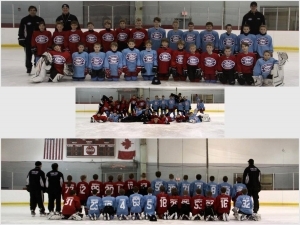 - Each on ice development session will be 1 hour and 15 minutes long, and will be run by the staff of PTH. 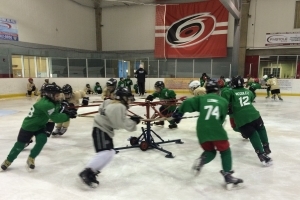 - Curriculum will combine individual skill development with on ice tactical and game situational exercises. - Referees will be assigned to officiate the scrimmages. - Fair and equal ice time will be utilized for the program. - PTH staff will be on the ice/bench for scrimmages. - Each player will be provided with TWO sets of uniforms, and will be required to have BOTH of them ‘in the bag’ for every session. Players will be divided into two different teams for their weekly scrimmage. We will change the teams every 5-6 sessions, but small adjustments on a weekly basis may be required. - A tournament OR Skills Competition Experience will be entered for all players as part of the program. Cost for travel and lodging is not included. - We will be filling TWO teams of 16 players (15 skaters + 1 goalie). 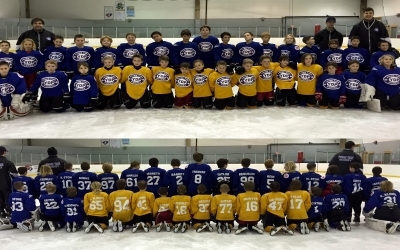 - Teams will consist of 3 full lines, which PTH feels is much better suited for a schedule of 22 full ice scrimmages. Open to Birth Years 2007, 2008, 2009, 2010, 2011 Birth Year Players! PTH administrators will determine appropriate placement for interested players.